The Hospital of Central Connecticut's Emergency Room (ER) treats patients with conditions ranging from major trauma, heart attacks and stroke to more minor illness. *All patients in the Emergency Department are seen in order according to the severity of their illness or injury. Our team and staff are specially educated in emergency care. Top 10% best practice performance for hospitals in the U.S. This service is offered at locations and clinics convenient to our patients, both at The Hospital of Central Connecticut and other organizations within Hartford HealthCare. Find out more information here. Our board-certified emergency physicians, along with physician assistants, nurses, technicians and other staff are specially educated in emergency care. 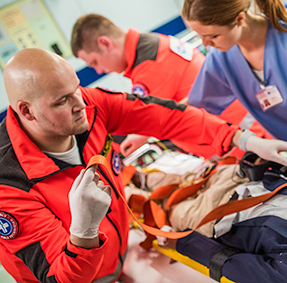 Both campuses are equipped to handle all types of illnesses and injuries, including life-threatening emergencies. Our ED - one of the busiest in the state - also has one of the shortest wait times nationwide. 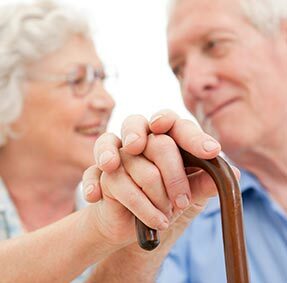 The Lifeline Personal Emergency Response System gives individuals living alone a sense of independence and security by offering medical emergency response at the touch of a button. Is it "urgent" or an "emergency"? 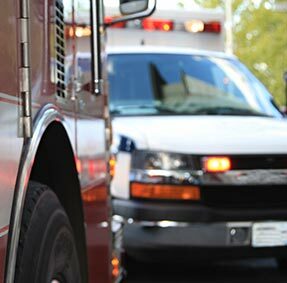 Learn when you can be cared for at an urgent care center, and when you really need to get to an ER or call 9-1-1.